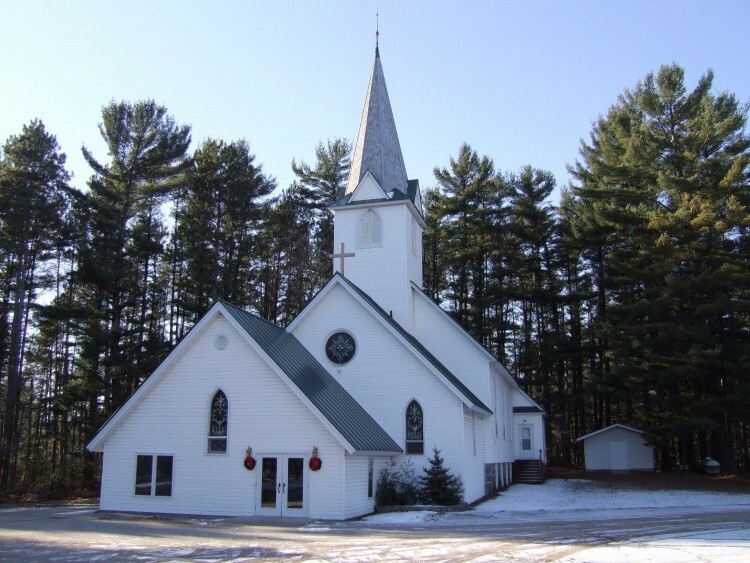 Northland Lutheran Church has become known in the area as the beautiful church on the hill. We have been very fortunate that our founding fathers picked the beautiful spot our church is on after our congregation was formed on March 18, 1907. Construction on the church started in July 1907. The first service in the church was held on February 16th 1908 in a partially finished church. The church was completed in 1908. J​ohn Barkimo, one of the main carpenters, also built the beautiful altar which has merited much praise. As Malcolm Rosholt wrote, the altar was Barkimo’s (“mester fog”) masterpiece. Barkimo also built the pulpit and the baptismal font. The late Mr. Barkimo was recognized as a master of his craft by the Norwegian Historical Society of Decor, Iowa. His many carvings are in great demand today. Our congregation has grown throughout the years and we are so blessed. The members of Northland Lutheran Church are your friends and family. We gather Sunday mornings to worship God and to learn from his Scriptures. We have a wonderful mix of traditional and modern Worship. It is a great place for young and the young at heart. We invite you to come and join us at Worship. 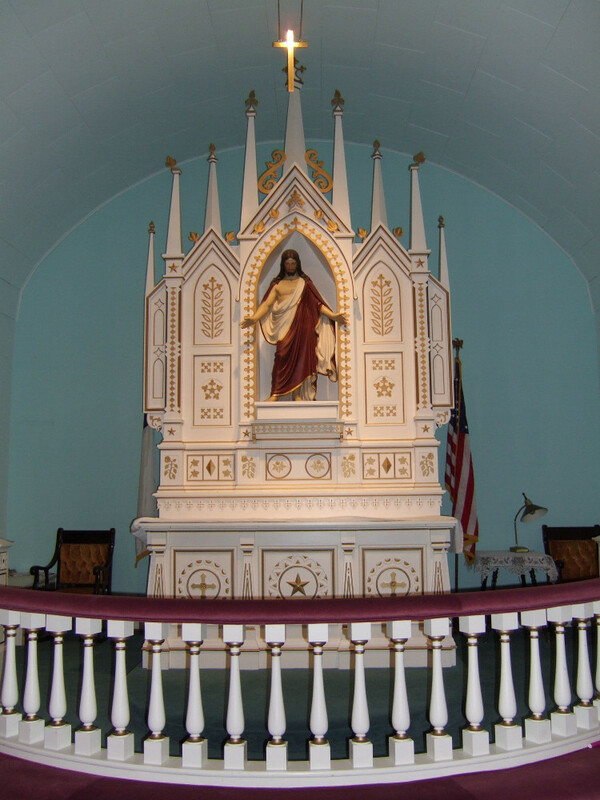 The Altar at Northland Lutheran Church, carved by John Barkimo in 1908.
attended Lutheran School of Theology in Chicago. Before coming to Northland in February 1996, he served churches in St. Paul in North Robinson, Ohio; Crouse Memorial in Tiro, Ohio and St. John in Sulphur Springs, Ohio. Pastor Dan resides in Iola with his wife Pastor Janice Kuder. He also has two girls Clarissa and Jenna.